Your choice of golf balls is as important as the clubs that you pick to have on your set because without good balls, you will still not perform well regardless of your skills and experience. But, with the Chrome Soft X by Callaway, you will have all you need in a golf ball. These are 4-piece balls that are designed to maximize spin, ball speeds and distance. And they achieve this thanks to the SoftFast Core, Mantle Layer, Thermoplastic Urethane Cover, and Hex Aerodynamic ball pattern. Also, they are available in two bright color options which are white and yellow to make them easy to locate on the course. SoftFast Core: This game-changing core design is one of the key highlights of these balls, and it has been engineered to ensure that golfers always get more control when using the short clubs and some amazing ball speeds and distances for the long clubs. Pattern: For the ball patterns, Callaway uses Hex Aerodynamic, and this helps to promote longer carry. Also, with Hex Aerodynamic you get a lower, piercing and more workable ball flight. Mantle Layer: These 4-piece golf balls have a mantle layer that will help retain the energy of the core while also ensuring that you get more spin and excellent control when swinging your scoring golf clubs. Thermoplastic Urethane: The softer, more durable and ultra-thin cover will combine an outstanding greenside control with an impressive feel to make these balls not only easy and more effective to use but also just fun to hit. 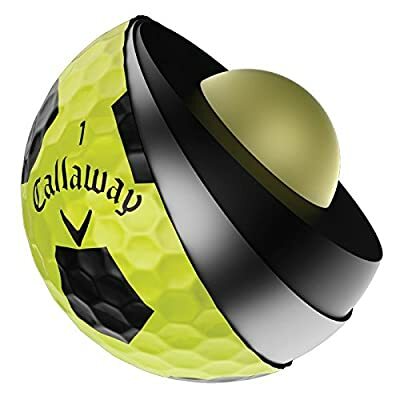 Color: You can get these balls in white and yellow, but both colors also have some black stars that are designed to make them even easier to locate on the course. 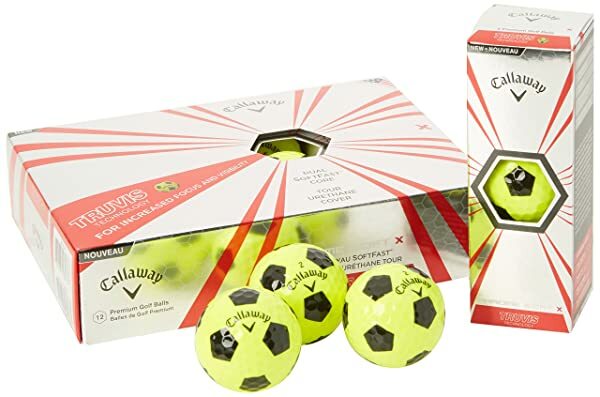 Quantity: Like most other top brands, Callaway provides these balls in 4 sleeves of 3 balls each to make a total of a dozen balls. Because your choice of golf balls will affect your game in many ways, it is always important to go for something top notch quality like the Chrome Soft X by Callaway. These are the kind of golf balls that will work for almost any golfer, and when swinging any club in the set as they are made with some very impressive technologies. The 4-piece golf balls will come in white and yellow color options, and in four sleeves of three balls each to ensure you have more than enough for several rounds. If all these amazing features are not enough to convince you to try them out, the incredibly soft feel, fantastic distances, and the relatively affordable price tag should be enough reason. However, you cannot overlook the few demerits such as the few color options and relatively less spin when compared to other brands. But, the bottom line is that these are top-notch quality golf balls that every golfer will enjoy using.